TOLEDO, Ohio -- Chrysler Group plans to invest at least $500 million into its Toledo North Assembly Plant and hire a second shift of workers in late 2013 to build a new Fiat-based SUV for Jeep, as well as other vehicles. Chrysler CEO Sergio Marchionne, visiting the plant for this morning's announcement, said the automaker planned to replace the Liberty with a vehicle he said would be "superior" in technology to its SUV flagship, the Jeep Grand Cherokee. "This plant has been chosen to build the future Jeep SUV to replace the current Jeep Liberty that will be exported to markets all over the world," Marchionne said at the plant this morning. "Jeep is at the heart of our plans to internationalize Chrysler, a process which is being accelerated by Chrysler's access to Fiat's distribution capabilities in Europe and Latin America." Toledo North is Chrysler's only assembly plant with only one shift of workers. Today's announcement is expected to add 1,105 hourly and salaried jobs to the plant, which builds the Jeep Liberty and Dodge Nitro SUVs. Production of the Nitro will end in December. In comments to the press, Marchionne said of the Nitro: "That car should never have been built." The automaker plans to add 260,0000 square feet to its body shop and quality lab at the plant, with improvements to its body-in-white, trim chassis final, paint shop and material handling facilities. In addition, the automaker will add a 26,000-square-foot metrology center, to improve fit and finish. In total, Chrysler said it would invest $1.7 billion into development of the mid-sized SUV and related vehicles, with the remainder spent at other Chrysler facilities along with expenses for supplier tooling and other development costs. Toledo North builds unibody vehicles, while the attached Toledo Supplier Park builds the body-on-frame Jeep Wrangler and Wrangler Unlimited. Together, the two plants, which operate under the same unified management structure, are known as Chrysler's Toledo Assembly Complex. In applying for new air permits for it's the plant's expansion, Chrysler requested and was granted an increase in its permitted capacity for Toledo North to as much as 327,000 vehicles a year. In 2010, the plant produced 91,973 Liberty and Nitro units, off 61 percent from the 10-year-old plant's high of 237,719 Libertys in 2003. 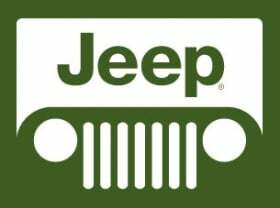 The new Jeep SUV will replace the Liberty for the 2013 model year and will be Chrysler's first Jeep to ride on a Fiat platform, called CUSW, that will underpin as many as eight future compact- and mid-sized vehicles in North America. Built in 2001, Toledo North is Chrysler's newest and most flexible unibody assembly plant, capable of building multiple vehicles simultaneously on the same assembly line. It had three shifts of about 900 hourly workers until late 2007. The current Liberty was released for the 2008 model year by DaimlerChrysler, with styling that sought to evoke the SUV's ancestor, the Jeep Cherokee, which ended production in 2001 after a 17-year run. The Dodge Nitro debuted as a slightly–modified, rebadged Liberty in 2006 for the 2007 model year. Chrysler has not announced its naming plan for the Fiat-based successor to the Liberty, which retained the Cherokee name for overseas sales since Liberty was introduced in 2001.